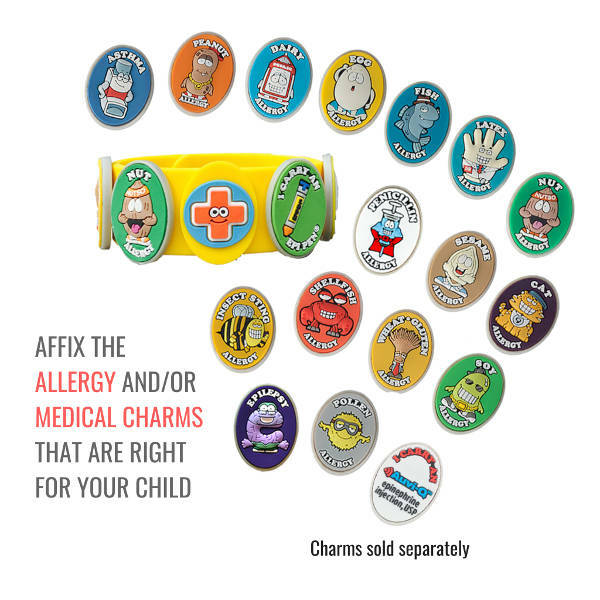 This Allermates medical charm bracelet can be customised with up to 6 charms to highlight your kid’s allergy or allergies. Please note wristband only included, charms must be purchased separately. These Allermates medical charm bracelets can be customised with up to 6 charms to highlight your kids allergy or allergies. 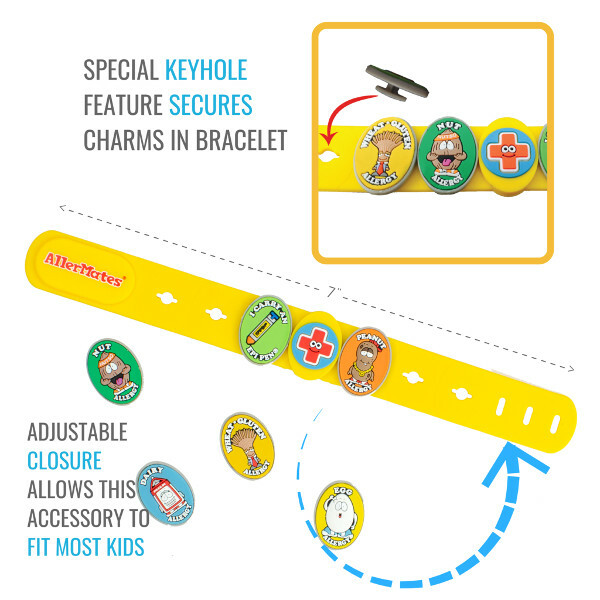 To add a charm to the bracelet all you have to do is push the flexible back through any hole in the band. They are both secure and comfortable in place. 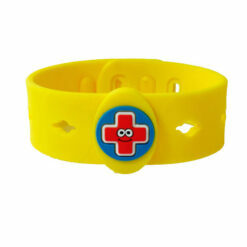 If your child outgrows their allergy/health concern you can remove the charm(s). 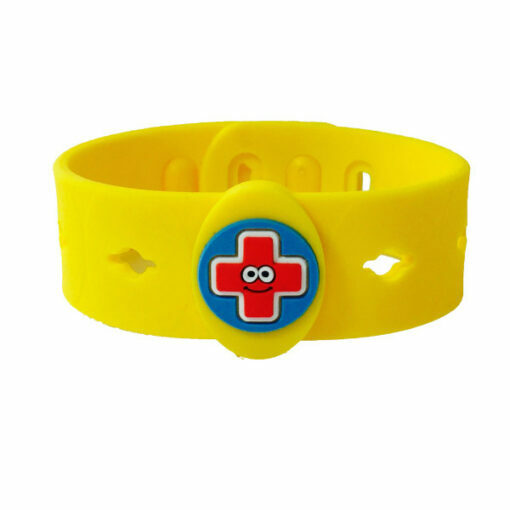 Made from durable latex free PVC. Kids love the cool characters on this allergy wristband. Even the kids who don’t have allergies want one! Please prepare in different language also, such as Turkish. The product is with high quality and delivery is fast.